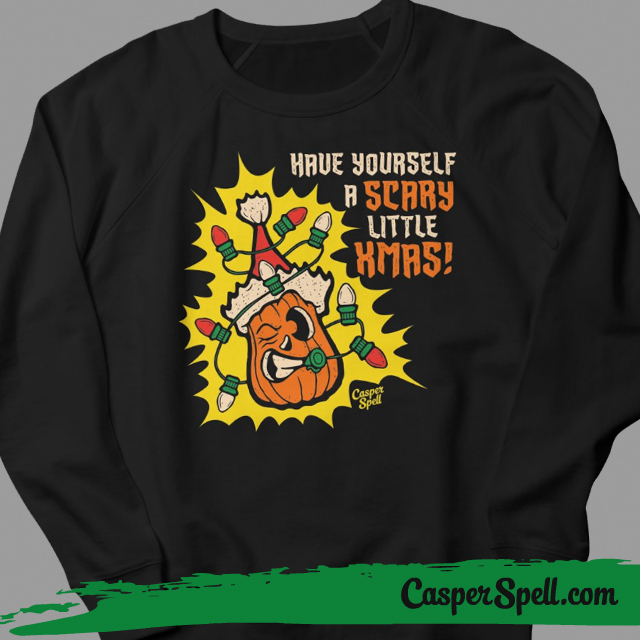 Threadless Christmas “Have Yourself a Scary Little Xmas” by Casper Spell. Visit www.CasperSpell.com. 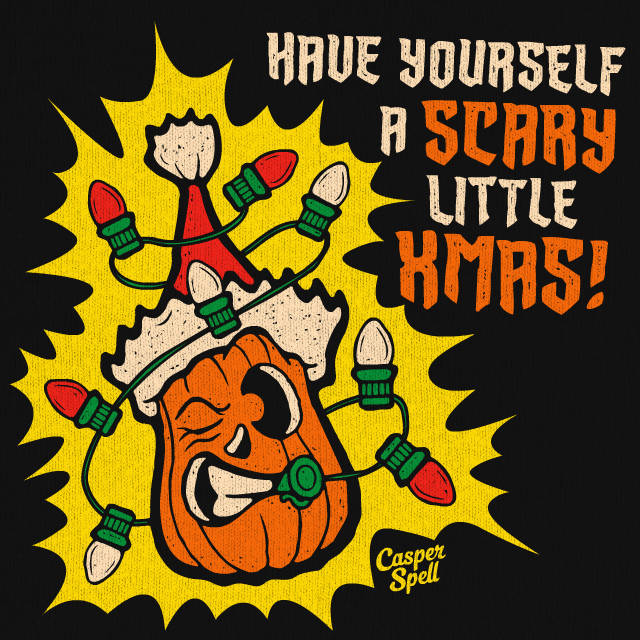 This entry was posted in Characters, Halloween, Hand Lettering, Illustrations, Licensing, Surface Patterns, Tee Shirts.